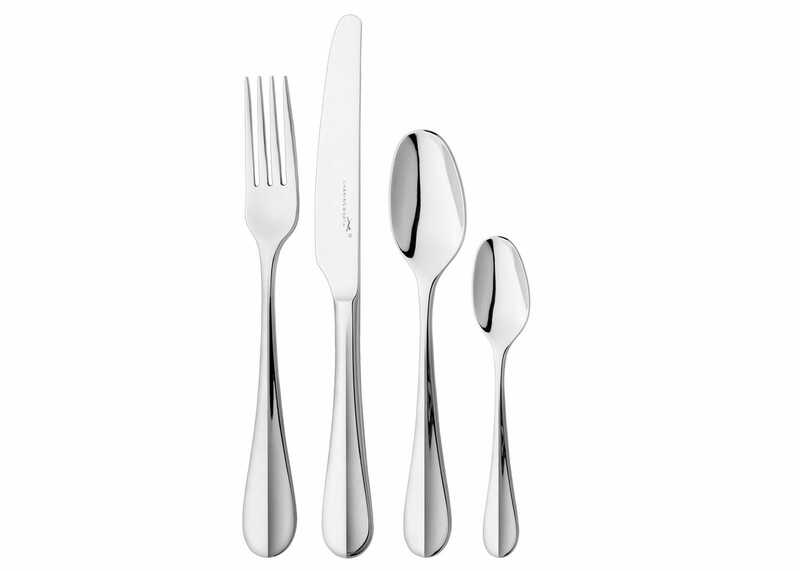 A timeless set of cutlery, Baguette mixes classic forms, elegant handles and a tapered ridge along the length of each spoon and fork. Perfect for both traditional and contemporary place settings, each piece is made from premium quality stainless steel with an attention to detail that far surpasses the industry standards of quality. 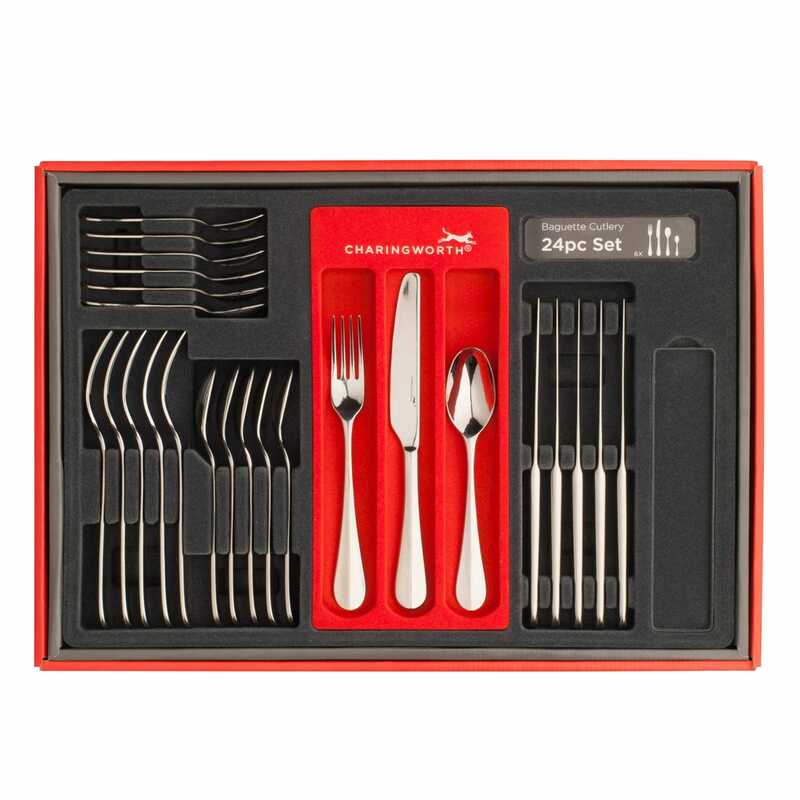 Set contains 6 forks, 6 knives, 6 dessert spoons and 6 teaspoons. 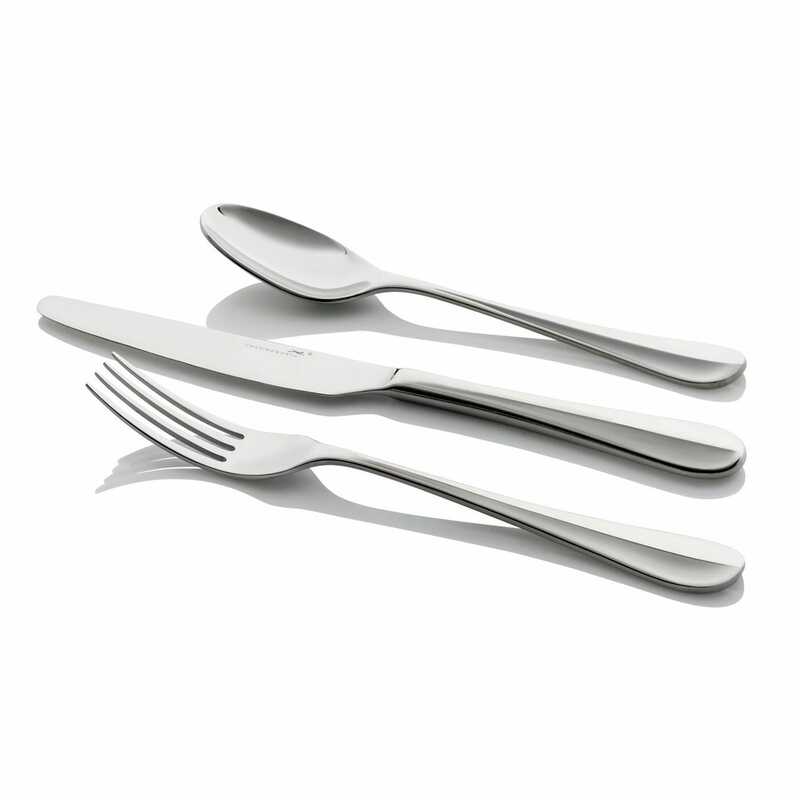 Featuring a traditional tapered ridge along the length of each spoon and fork, the contemporary form of this collection is shown in its soft rounded lines.